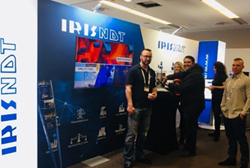 IRISNDT can provide both manual and automated ultrasonic testing throughout Europe using the latest state of the art equipment and highly qualified ASNT or PCN technicians. Ultrasonic testing (UT) In UT very short ultrasonic pulse-waves with center frequencies ranging from 0.1-15 MHz and occasionally up to 50 MHz are launched into materials to detect internal flaws or to characterize materials. 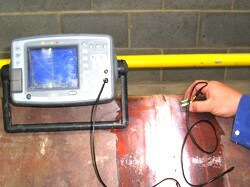 The technique is also commonly used to determine the thickness of the test object, for example, to monitor pipework corrosion. Ultrasonic testing is often performed on steel and other metals and alloys. It is a form of non-destructive testing used in many industries including power generation, aerospace, steel fabrication, automotive, and other transportation sectors. 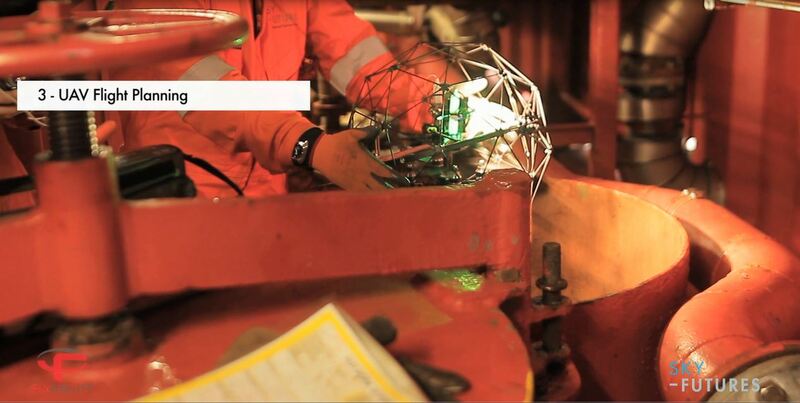 In ultrasonic testing, an ultrasound transducer connected to a diagnostic machine is passed over the object being inspected. The transducer is typically separated from the test object by a water or oil based couplant. There are two methods of receiving the ultrasound waveform, reflection and attenuation. In reflection (or pulse-echo) mode, the transducer performs both the sending and the receiving of the pulsed waves as the “sound” is reflected back to the device. Reflected ultrasound comes from an interface, such as the back wall of the object or from an imperfection within the object. The diagnostic machine displays these results in the form of a signal with an amplitude representing the intensity of the reflection and the distance, representing the arrival time of the reflection. In attenuation (or through-transmission) mode, a transmitter sends ultrasound through one surface, and a separate receiver detects the amount that has reached it on another surface after traveling through the medium. Imperfections or other conditions in the space between the transmitter and receiver reduce the amount of sound transmitted, thus revealing their presence. Using the couplant increases the efficiency of the process by reducing the losses in the ultrasonic wave energy due to separation between the surfaces. High sensitivity, permitting the detection of extremely small flaws. Only one surface need be accessible. Non-hazardous to operations or to nearby personnel and has no effect on equipment and materials in the vicinity. Extensive technical knowledge is required for the development of inspection procedures. Parts that are rough, irregular in shape, very small or thin, or not consistent are difficult to inspect. Surface must be prepared by cleaning and removing loose scale, paint, etc., although paint that is properly bonded to a surface need not be removed.